Published: 2014-02-28, by Ana Gracia. 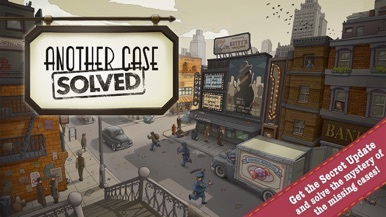 Another Case Solved is a curious mystery game set in a world where candy has been prohibited and there are a lot of cases of contraband and conspiracy in the street. You, as a private detective, need to attend all your customers and solve their cases by interviewing suspects, tracking down missing objects and following every trace you come across. In the end, your goal will be to unmask the town's sweet secret and become everyone's hero. First of all, you need to customize your appearance and begin to investigate the first case. The gameplay consists of a series of puzzle games mixed with a ever-developing storyline which will have you addicted in no time. Collect all the clues and items you need to proceed with the invetsigation and have fun getting to know the town and its residents. Purchase new and helpful items that will help you improve your office appearance and enhance your reputation. Chillingo Ltd is the developer of Another Case Solved, a fun and original game with a simple gameplay but a well-crafted and engaging storyline with eye-catching graphics. Disable in-app purchases for a safer play. 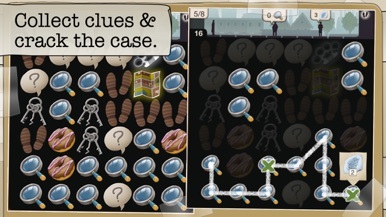 Become a famous detective and get to the bottom of a curious candy conspiracy in Another Case Solved, the latest game from the makers of Puzzle Craft. APPLE EDITOR'S CHOICE in the US, UK, Canada, Russia, Australia and more! 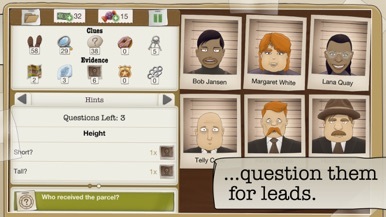 "A perfect mix of mini-games with a detective atmosphere" – Apptual Gamer. This city is clamping down on candy cravings by outlawing sweet snacks! 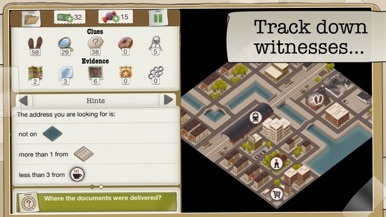 Solve a series of quirky cases by gathering clues, tracking down witnesses, and questioning suspects to reveal the truth behind this city’s sugarcoated secret. This is a case too sweet to turn down! • Create your own personalized detective and customize their look with outfits, props, and more. • Match clues, identify suspects, track down hidden items – Another Case Solved features multiple styles of gameplay to keep detectives on their toes. • Tons of story-driven cases to keep you hooked into this sugary sweet mystery. • Take on minor cases in your spare time to keep yourself in business. • Transform your humble office into a vibrant workplace with new furniture that will increase your detective skills. 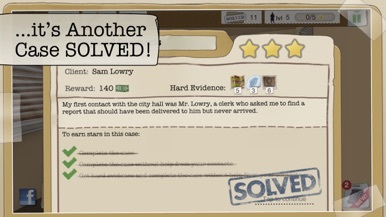 • Join the Detective Club and share your progress and achievements with friends via Facebook. Visit https://help.ea.com/en-gb/another-case-solved/another-case-solved for assistance or inquiries.